Boone, who most recently helmed the massive teen-weepie hit The Fault In Our Stars, also revealed himself as a longtime nerd, discussing his childhood love of Stephen King and Marvel comics and emphasizing the twisted, unusual angle his superhero movie will take. Stressing that he’s taking inspiration from Bill Sienkiewicz’s run on the comic series—which began with issue No. 18 in 1984—Boone notes the comic became “a darker and more surreal and impressionistic X-Men series than we’d ever seen before. It felt like Stephen King meets John Hughes.” This could mean the film will feature a scene where Annie Wilkes says to Wolfsbane, “Doobage? Yo dirty bird, you’re not gonna blaze up in here,” but probably not. The piece also offers up a few vague but unverified details about the plot. We’ve known for more than a year now that the project stars Game Of Thrones’ Maisie Williams, The Witch’s Anya Taylor-Joy as Magik (sister of Deadpool’s Colossus), and has Alexandra Shipp reprising her role as Storm from X-Men: Apocalypse; (and that it supposedly has the goofy working title Growing Pains). Now, EW’s source reports the film will deal with how mutants are at their most dangerous when their powers are new. 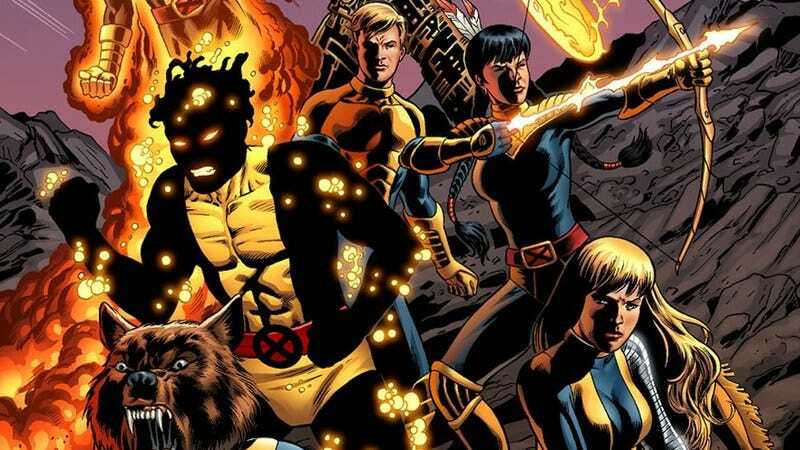 “Held in a secret facility against their will, five new mutants have to battle the dangers of their powers, as well as the sins of their past. They aren’t out to save the world—they’re just trying to save themselves,” is how this mystery source describes it, which apparently means their source is a sentient logline.